At Business & Brews, no one is a stranger! 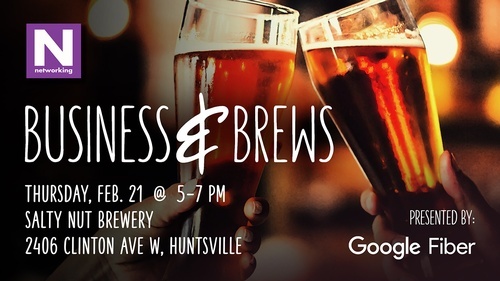 Come enjoy some of Huntsville's best craft beers while cultivating new business relationships in a relaxed setting. People do business with people they know, and there's no better way to get to know other professionals than by attending our Business & Brews. You can build your network, share common challenges, ideas and solutions, and connect with local business professionals. AND your first beer is on us! Invite your friends and co-workers and join us for Business & Brews ? we hope to see you there!